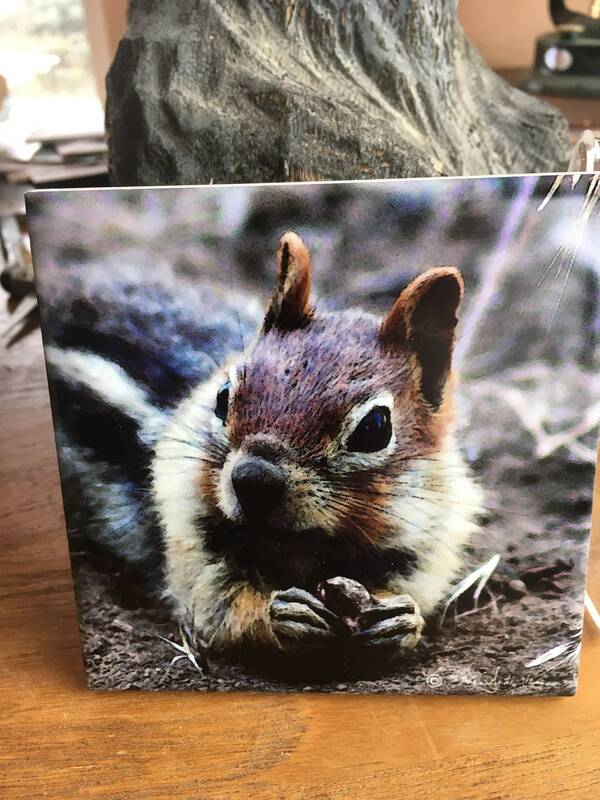 This happy camper enjoyed all the treats that were under the bird feeder in Central Oregon. 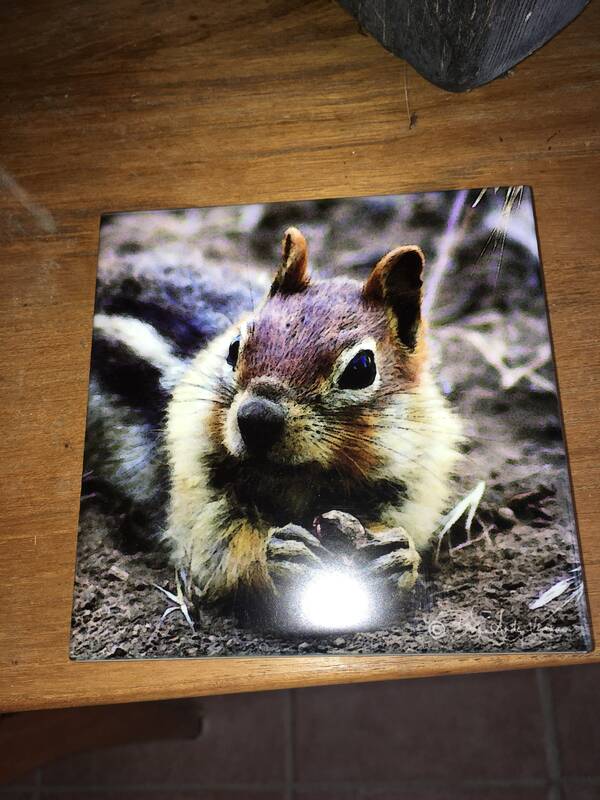 The image is an Enhanced Digital Photograph which I took and enhanced. 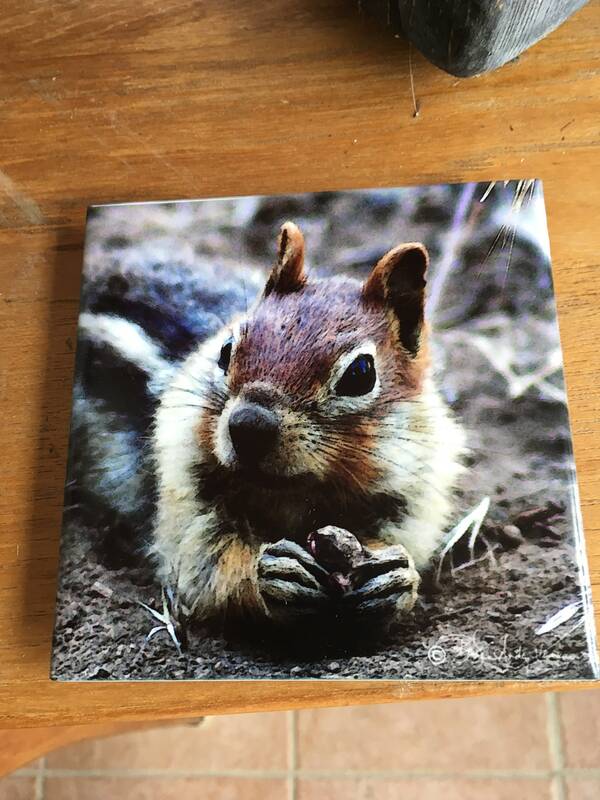 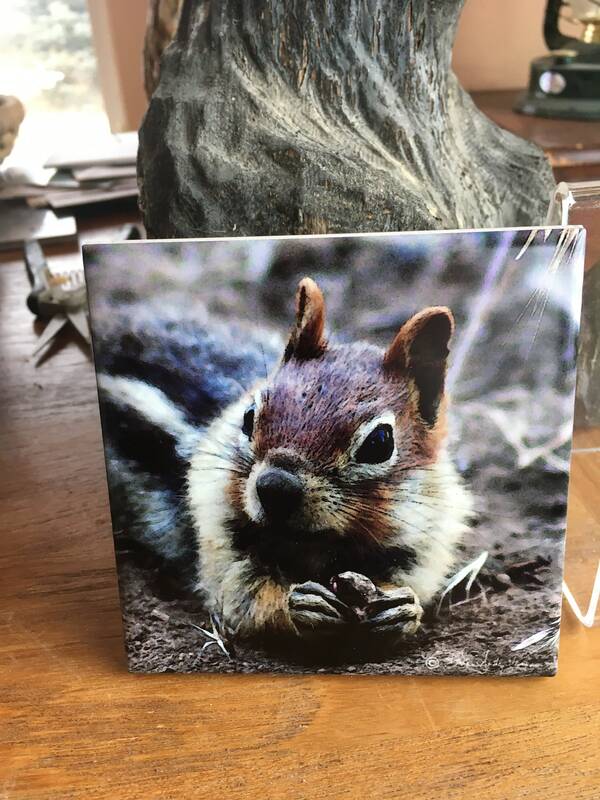 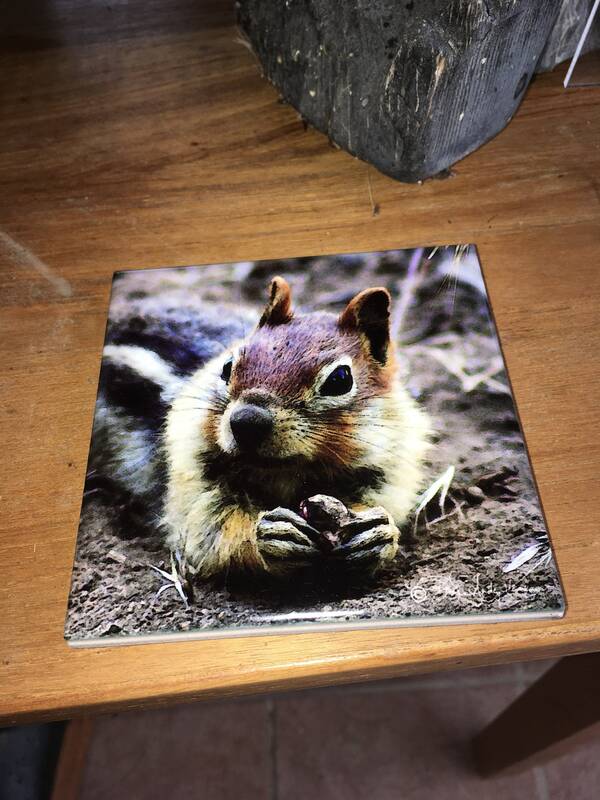 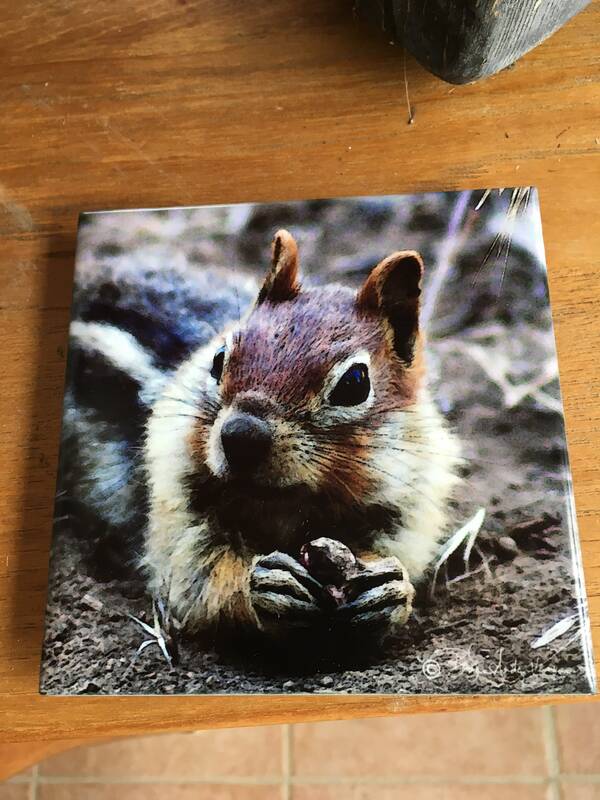 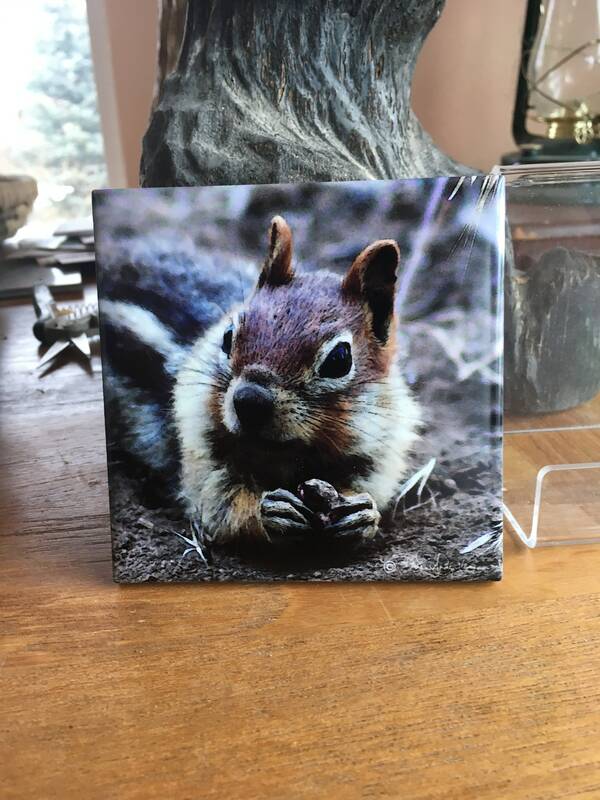 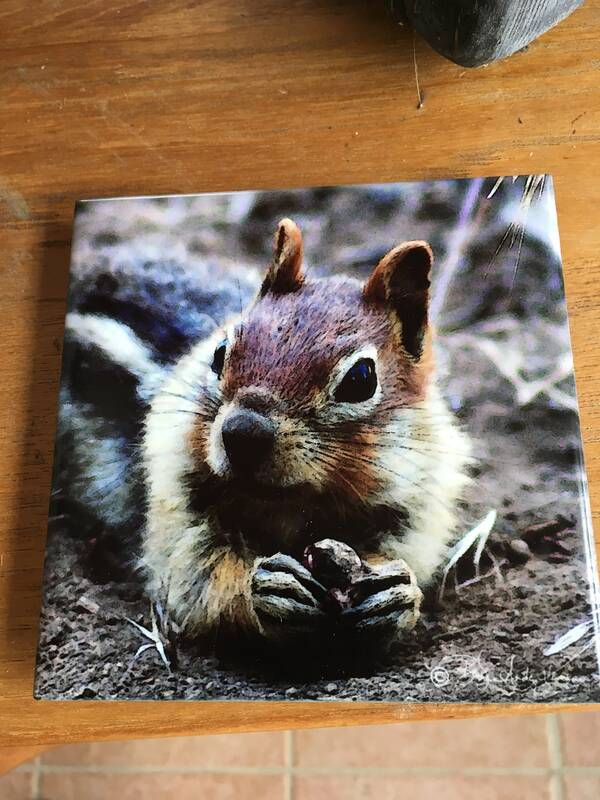 To make the Tile/Coaster, I buy the blank tiles and use dye sublimation to transfer the image onto the tile.